For other sieges with this name, see Siege of Tripoli (disambiguation). 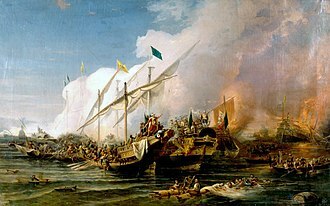 Ottoman ships laying siege to Tripoli. The Siege of Tripoli occurred in 1551 when the Ottomans besieged and vanquished the Knights of Malta in the fortress of Tripoli, modern Libya. 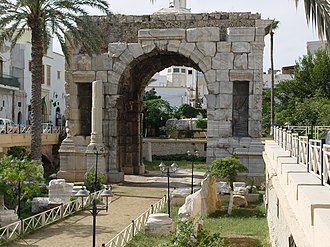 The Spanish had established a fort in Tripoli in 1510, and Charles V remitted it to the Knights in 1530. The siege culminated in a six-day bombardment and the surrender of the city on 15 August. The siege of Tripoli succeeded an earlier attack on Malta in July, which was repelled, and the successful invasion of Gozo, in which 5,000 Christian captives were taken and brought on galleys to the location of Tripoli. 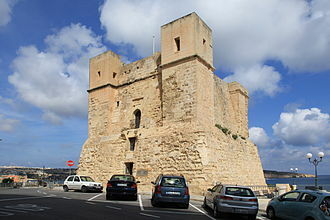 The city was under the command of Father Gaspard de Vallier, with 30 knights and 630 Calabrian and Sicilian mercenaries. The Ottomans had a base since 1531 in the city of Tajura, 20 kilometers to the east, where Khayr al-Din had been based. The Ottomans encircled the fort, and established 3 batteries of 12 guns each. The French Ambassador to the Ottoman Empire, Gabriel d'Aramon, joined the Ottoman fleet at Tripoli, with two galleys and a galliot, The declared mission of the ambassador was to dissuade the Ottomans from capturing the city, at the request of the Grand Master of Malta, as Malta was not identified as an enemy in the Franco-Ottoman alliance against the Habsburgs. 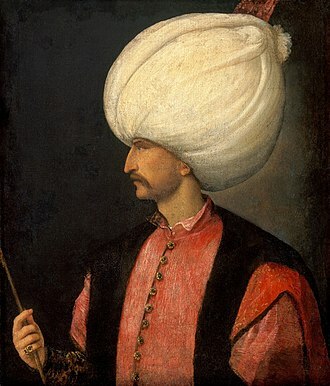 According to later reports, when Sinan Pasha (Sinanüddin Yusuf Pasha) and Dragut refused to lift the siege, on grounds that they were under order to eradicate the Knights of Malta from the African continent, d'Aramon threatened to sail to Constantinople to appeal to sultan Suleiman, but he was then barred from leaving the city until the end of the siege. 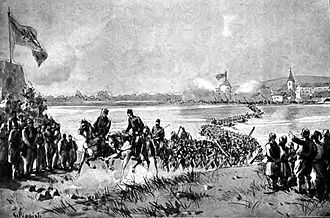 Soon the soldiers in the fort mutinied, and negotiation for surrender started. The city was captured on 15 August 1551 by Sinan Pasha after six days of bombardment. 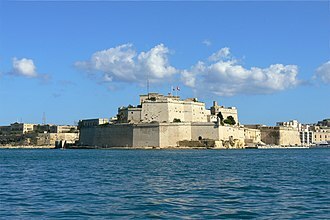 The Knights, many of them French, were returned to Malta upon the intervention of the French ambassador, and shipped onboard his galleys, while the mercenaries were enslaved. (some authors say 200 men were freed). 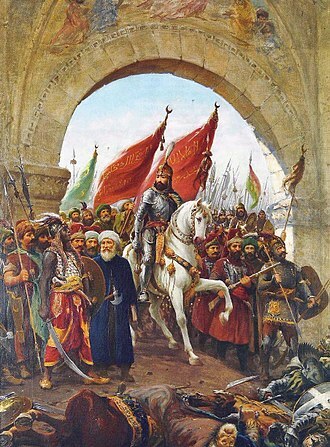 Murād Agha, the Ottoman commander of Tajura since 1536, was named as the Pashalik of the city. Nicolas de Villegagnon, the future explorer of Brazil, was present at the siege of Tripoli in 1551, and wrote an account about it in 1553. From Malta, d'Aramon wrote a letter about his intervention to Henry II. The role of d'Aramon was widely criticized by Charles V and Julius III on suspicion that he had encouraged the Ottomans to take the city. 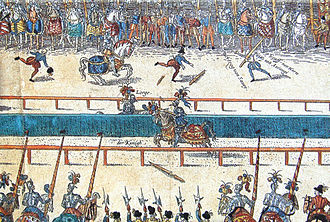 It appeared that d'Aramon had participated in the victory banquet of the Ottomans, raising further suspicions about his role in the siege, and leading to claims by Charles V that France participated in the siege. In any instance, d'Aramon had a special relationship with the Ottomans, and was clearly aware that the fall of Tripoli represented a major setback for Charles V.
Upon his return to Malta, Gaspard de Vallier was heavily criticized by the Grand Master Juan de Homedes y Coscon who wished to assign all the blame for the defeat on him. He was brought in front of a tribunal, and stripped from the habit and cross of the Order. He had been however staunchly defended by Nicolas de Villegagnon, who exposed the duplicity of de Homedes. 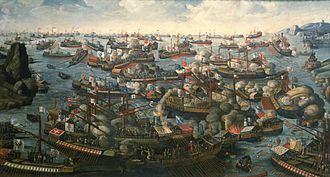 The siege was the first step of the all-out Italian War of 1551–1559 in the European theater, and in the Mediterranean the French galleys of Marseilles were ordered to join the Ottoman fleet. 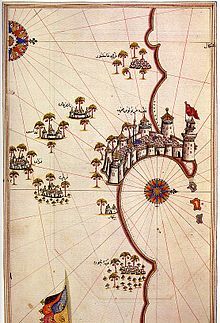 In 1553, Dragut was nominated commander of Tripoli by Suleiman, making the city an important center for piratical raids in the Mediterranean and the capital of the Ottoman province of Tripolitania. In a famous attack from Tripoli, in 1558, Dragut attacked Reggio, and took all its inhabitants as slaves to Tripoli. In 1560, a powerful naval force was sent to recapture Tripoli, but that force was defeated in the Battle of Djerba. At that time, Nice was under the control of Charles III, Duke of Savoy, an ally of Charles V. This is part of the 1543–1544 Mediterranean campaign of Barbarossa, the French forces, led by François de Bourbon, and the Ottoman forces, led by Hayreddin Barbarossa, first joined at Marseilles in August 1543. François de Bourbon had already attempted to make an attack on Nice once. Barbarossa arrived with his fleet, accompanied by the French Ambassador Polin, as almost nothing had been prepared on the French side to assist the Ottoman fleet, Polin was dispatched to meet with Francis I at Marolles and ask him for support. The combined fleet sailed out of Marseille on the 5th of August, the Ottoman force first landed at Villefranche,6 kilometers east of Nice, which it took and destroyed. 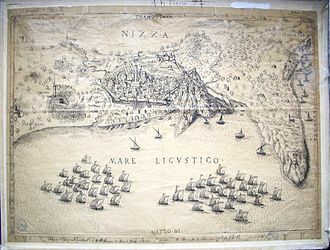 The French and Ottoman forces collaborated to attack the city of Nice on 6 August 1543, in this action 110 Ottoman galleys combined with 50 French ones. The Franco-Ottomans were confronted by a resistance which gave rise to the story of Catherine Ségurane, culminating with a major battle on 15 August. 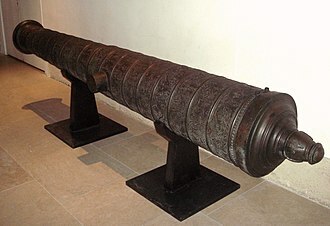 The French prevented the Ottomans from sacking the city and they could not however take the castle, the Château de Cimiez, apparently because the French were unable to supply sufficient gunpowder to their Ottoman allies. The last night before leaving, Barbarossa plundered the city, burned parts of it, the relief army, transported on ships by Andrea Doria, landed at Villefranche, and successfully made its way to the Nice citadel. During the campaign, Barbarossa is known to have complained about the state of the French ships and he famously said Are you seamen to fill your casks with wine rather than powder. He nevertheless displayed great reluctance to attack Andrea Doria when the latter was put in difficulty after landing the relief army and it has been suggested that there was some tacit agreement between Barbarossa and Doria on this occasion. At the time, Nice was part of Savoy, independent from France, most versions of the tale have Catherine Ségurane, a common washerwoman, leading the townspeople into battle. It was founded as the Knights Hospitaller circa 1099 in Jerusalem, Kingdom of Jerusalem, by the Blessed Gerard, making it the worlds oldest surviving chivalric order. It operated from Cyprus, Malta, over which it was sovereign until the French occupation, the order venerates as its patroness Mary, mother of Jesus, under the title Our Lady of Mount Philermos. The Order retains sovereignty under international law, including United Nations permanent observer status, issuing its own passports, the orders military corps, three brigades, are stationed throughout Italy, liaisoned with the Italian Armed Forces. Through its worldwide relief corps, Malteser International, the order aids victims of disasters, epidemics. In several countries, including France and Ireland, local associations of the order are important providers of emergency services. In the ecclesiastical heraldry of the Roman Catholic Church, the Order of Malta is one of two orders whose insignia may be displayed in a clerical coat of arms. The shield is surrounded with a rosary for professed knights. Members may display the Maltese cross behind their shield instead of the ribbon, in order to protect its heritage against frauds, the order has legally registered 16 versions of its names and emblems in some 100 countries. The birth of the dates back to around 1048. 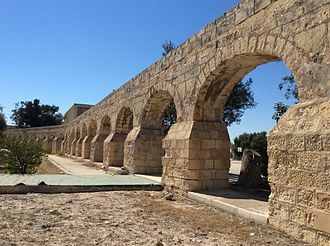 The Order of St. John of Jerusalem–the monastic community that ran the hospital for the pilgrims in the Holy Land–became independent under the guidance of its founder, by virtue of the Papal Bull, the hospital became an order exempt from the control of the local church. All the Knights were religious, bound by the three vows of poverty and obedience. The order thus added the task of defending the faith to that of its hospitaller mission, as time went on, the order adopted the white eight-pointed Cross that is still its symbol today. The eight points represent the eight beatitudes that Jesus pronounced in his Sermon on the Mount, when the last Christian stronghold in the Holy Land fell after the Siege of Acre in 1291, the order settled first in Cyprus. 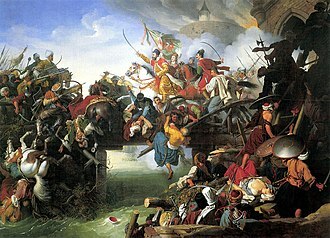 The Long Turkish War or Thirteen Years War was an indecisive land war between the Habsburg Monarchy and the Ottoman Empire, primarily over the Principalities of Wallachia and Moldavia. It was waged from 1593 to 1606 but in Europe is sometimes called the Fifteen Years War, in the series of Ottoman wars in Europe it was the major test of force between the Ottoman–Venetian War and the Cretan War. The next of the major Ottoman-Habsburg wars was the Great Turkish War of 1683-99, the conflict consisted in a great number of costly battles and sieges, but with very little result for either side. The major participants of this war were the Habsburg Monarchy, the Principality of Transylvania and Moldavia opposing the Ottoman Empire, Tuscany and the Papal State were involved to a lesser extent. Skirmishes along the Habsburg–Ottoman border intensified from 1591, in 1592, the fort of Bihać fell to the Ottomans. 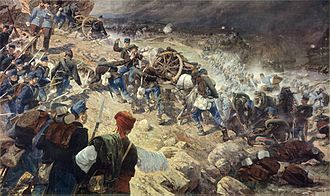 That victory marked the end of the Hundred Years Croatian–Ottoman War, the war started on July 29,1593, when the Ottoman army under Sinan Pasha launched a campaign against the Habsburg Monarchy and captured Győr and Komarom in 1594. In early 1594, the Serbs in Banat rose up against the Ottomans, the rebels had, in the character of a holy war, carried war flags with the icon of Saint Sava. The war banners were consecrated by Patriarch Jovan Kantul, and the uprising was aided by Serbian Orthodox metropolitans Rufim Njeguš of Cetinje, along the way, the Ottoman convoy killed all the people in its path as a warning to the rebels. The Ottomans publicly incinerated the relics of Saint Sava on a pyre atop the Vračar plateau on April 27 and had the ashes scattered, aron Vodă of Moldavia and Michael the Brave of Wallachia joined the alliance that year. 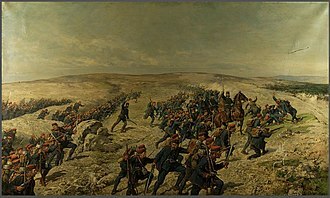 The Ottomans objective of the war was to seize Vienna, while the Habsburg Monarchy wanted to recapture the territories of the Kingdom of Hungary controlled by the Ottoman Empire. Control over the Danube line and possession of the fortresses located there was crucial, the war was mainly fought in Royal Hungary, Royal Croatia and Slavonia, the Ottoman Empire, and Wallachia. In 1595, the Christians, led by Mansfeld, captured Esztergom and Visegrád, strategic fortresses on the Danube, the Ottomans launched a siege of Eger, conquering it in 1596. The Battle of Marciano occurred in the countryside of Marciano della Chiana, near Arezzo, Tuscany, on August 2,1554, during the Italian War of 1551. The battle marked the defeat of the Republic of Siena in its war against the Duchy of Florence, and resulted in Siena losing its independence and being absorbed into the Grand Duchy of Tuscany. In 1554, Cosimo I de Medici, with the support of Emperor Charles V, launched a campaign to conquer Florences last remaining rival in Tuscany. His army was under the command of Gian Giacomo Medici, Marquess of Marignano, the Sienese entrusted the defence to Piero Strozzi, a fierce rival of the Medici family and a general in French service. French troops, as well as some Florentine exiled by the Medici, the Florentine troops approached Siena on the night of January 26,1554. After an initial failed assault, the Marquess of Marignano laid siege to the city, both Baglioni and Montauto failed to capture Pienza and Grosseto. French ships harassed the Florentine resupply lines at Piombino, Cosimo replied to the initial setbacks by hiring Ascanio della Cornia with 6,000 infantry and 300 cavalry, and waiting for further Imperial reinforcements. 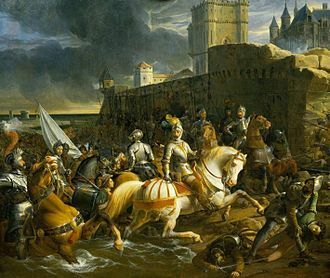 On June 11, Strozzi attempted a sally to relieve the pressure on Siena and he moved towards Pontedera, forcing Medeghino to raise the siege to follow him. 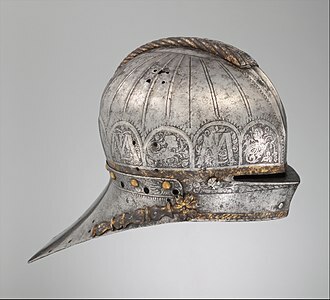 This did not prevent Strozzi from joining with a French contingent with 3,500 infantry,700 horse and 4 cannons in the territory of Lucca and his brother, Leone Strozzi, had been killed by an arquebus ball in the course of the struggle for Grosseto. Strozzi therefore marched back to Siena, where the situation had become desperate. In July, he failed to capture Piombino, in southern Tuscany and his field army included 14,000 infantry, about 1,000 cavalry, and five guns. His force easily overwhelmed the small Florentine garrisons on his way, although the attempt, on July 20 and he managed to capture Lucignano, Marciano della Chiana and other centres in the following days. After some days of inactivity, Medeghino raised the siege of Siena, after some initial skirmishes, the two large armies clashed when Strozzi, short of food, decided to retire towards Lucignano in the night of August 1. View of Fort Saint Angelo. Wignacourt Tower, the oldest surviving watchtower in Malta. 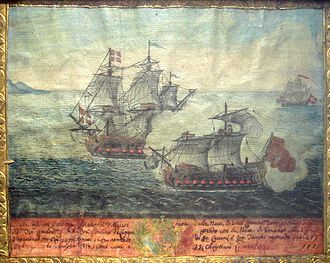 A naval battle between the Ottoman navy and the Order's fleet in 1719. Gabriel de Luetz d'Aramon accompanied the fleet of Dragut with 3 galleys in the Battle of Ponza. View of Tripoli by Nicolas de Fer, before 1705.